How many solar panels will I need for my roof? Most home solar PV systems come with between 8 and 15 panels, which is enough to generate plenty of electricity for your home all through the year. Of course, large properties will need more solar panels and technically you can have as many as you wish to generate renewable energy. Does the UK really have enough sun for solar power? The UK may not be the hottest of countries, but it’s important to know the difference between the temperature and solar radiation levels. Daylight is enough to power solar panels and the UK is close to matching Germany (the largest solar market in the world) with radiation levels. Will solar panels work when it’s cold? As with the previous question, the answer is yes. Even during the winter when the temperature drops, your PV installation will continue to provide free energy from the sun’s natural rays. What’s more, solar panels also act as insulation for your roof and studies have shown that they restrict heat lost. Which direction should the solar panels face? For the optimum position, solar panels should be facing south. This way they’ll be pointing at the sun for most of the day. Anywhere between southeast and southwest is suitable though. Solar panels can also be installed onto most roof angles, so it doesn’t matter is it’s a pitched or flat roof. Will shade have an effect on the solar panels? 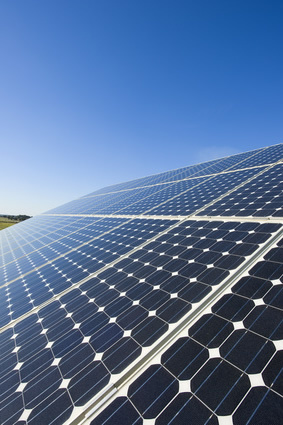 If a solar panel system is cast into shadow, it will have an effect on the amount of electricity it produces. Therefore, the less shade throughout the course of the day the better. MCS accredited companies will know the optimum position to install the panels so they generate more free energy. You should still ensure no trees of buildings will overshadow your installation though. In most instances the answer is no. The only times you’ll need to have the panels approved is if you live in a Conservation Area or listed building.